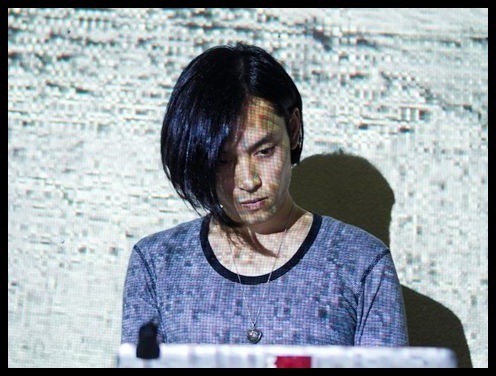 Yousuke Fuyama is a sound and visual artist from Nagano, Japan who’s skillful computer graphics and musical experimentation is gaining him fans all over the globe. Elle: Your introduction into art started from a very early age, can you tell us a little bit more about this please? Yousuke: Ever since I can remember, I had piano lessons. It was typical western classical style. I remember I used to go to concerts of Bach’s pipe organ works frequently. For musical education, I had some private lessons, so I touched much classical music in early childhood. I remember in my early childhood, I liked gazing at the vortex inside of the washing machine, almost everyday. I really liked to do that. I think my strange habit links to what I am doing in art now. Vortex makes complex noises and vibration to my eyes and ears. Elle: Where do you find your inspiration? Do you have any particular influences that translate into your creativity? Yousuke: All the things in everyday life. Or the world of all that can be recognized by my own. Every little things surround me. It is like the soundscape that was sounded by accidental. I found insane inspirations in unremarkable phenomenon. For example, I love very beautiful contrasted sounds, which is the mix of the sound of airplanes flying above and the murmur of trees blown by the wind, and the pattern of cracking on the pavement where I walk. These are everyday events, which are easy to feel inspired by. I think this attitude is close to the philosophy that was written in the “Silence” of John Cage, and yes, I was influenced by his music strongly, and many of his early experimental modern music. So I can say, on one side, why I am using algorithm with a laptop is to realize the updated version of chance operation that was founded by Cage, in this digital-data age. Elle: What is the greatest thing about working in your industry? And what would you change if you had the opportunity? Yousuke: The thrill of the fight with others. Making things and doing art is always a fight with others for me. It’s like a brutal battle with a real sword. The sword weapons we use are made by aura, spirit, insanity, like that kind of the source of creation that is living in deep under, or in the upper mind of themselves. Fighting always decides on a winner and loser, but in here, It is more important to get process and to feel the thrill of a creator’s fight. I always try to adapt myself to the situation that was given to me, because I can find out many unexpected value that is inherent in my own particular fields. Sometimes it is difficult to adapt myself, but to change the situation more easily to suit my present condition, is not interesting to me, because to stay with the same style, always give me the same view. Prefer keep rolling and feeling the thrill, this is the greatest thing in my place. Elle: Can you Share with us your proudest moment in your career so far? 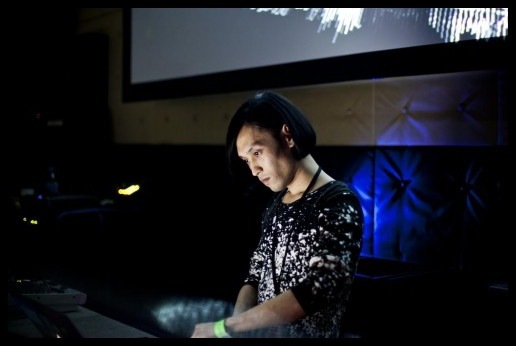 Yousuke: When I played in a event “DPG chapter.7 (discord proving ground – http://www.geocities.jp/made_in_nakano/dpg/archives/07/about/about.html) in Tokyo. Until then, I was in a graduated school for a Master Degree. A academic environment, for research in sound art and computer music department. That was nice but sometimes I felt it was too narrow minded for me. It was a big turning point for me to play in DPG. I could then go outside of the academic scene and perform my style very freely. After DPG, fortunately I got a pass to the Tokyo underground scene that is one of most insane art scenes in the world with my style. Elle: Finally what’s next for Yousuke? 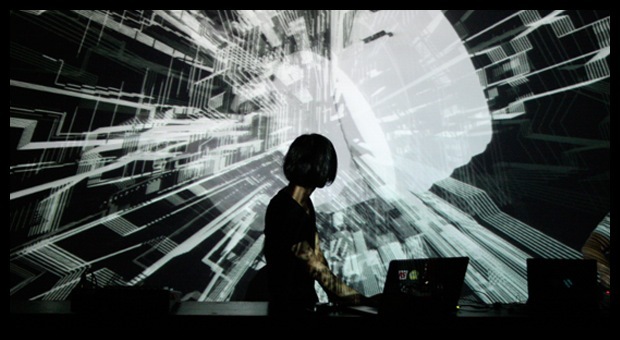 Yousuke: I will do tour to some countries in Asia and Europe this year with my live audio/visual set. It is going to be a new system that is applied biological and a molecular biological data experimentation. I will be releasing some computer music and electro acoustic works from a label and some music video works soon. I will also establish my own label “FossaMagna”. This is for handmade limited physical stuff. Thanks for finally writing about >Yousuke Fuyama: Melting Pot � Public Description <Loved it!